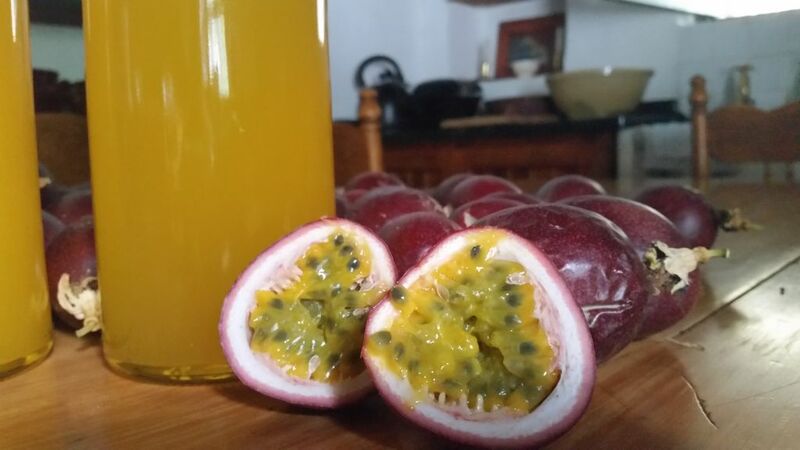 In my efforts to reduce the stock of ripe grenadillas filling every bowl in the kitchen, I started looking for recipes that use more than just four grenadillas at a time. 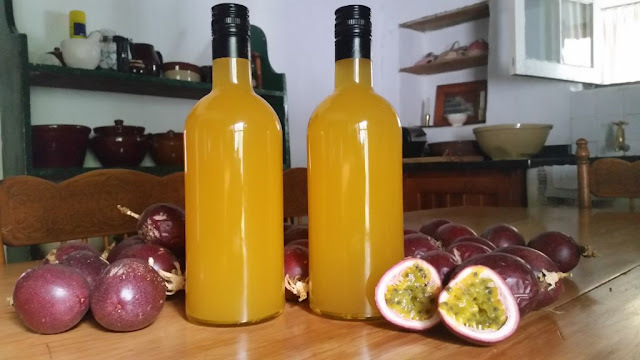 When I came across a recipe for grenadilla liqueur in my book, “Make your own liqueur” by Jean Dickson and published in 1991, calling for 20 grenadillas or more, I decided that this is definitely the kind of recipe I need. 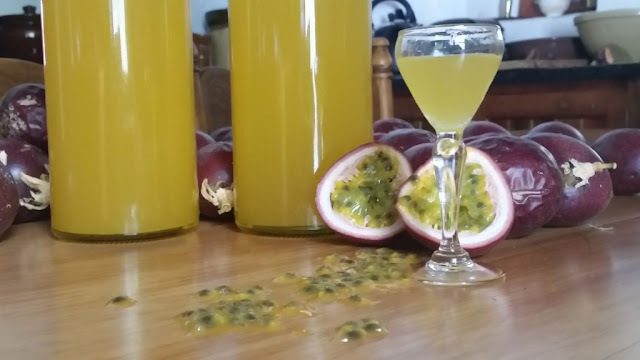 The grenadilla liqueur is a bright yellow colour and has a very refreshing grenadilla flavour that is perfect over ice-cream, or as a mix for a fruity summer cocktail. Scoop out the grenadilla pulp and mix with the vodka in a sealable glass container. Keep at room temperature in a dark place for a month. Shake the mixture daily. After a month, make a simple syrup by dissolving the cane sugar in the water over a moderate heat. Stir until the sugar is dissolved. Bring to the boil and remove from the heat. Let it cool down completely. Mix the cold syrup into the grenadilla mixture. Filter the liqueur into bottles through a double folded muslin cloth. Leave for at least a month before serving. 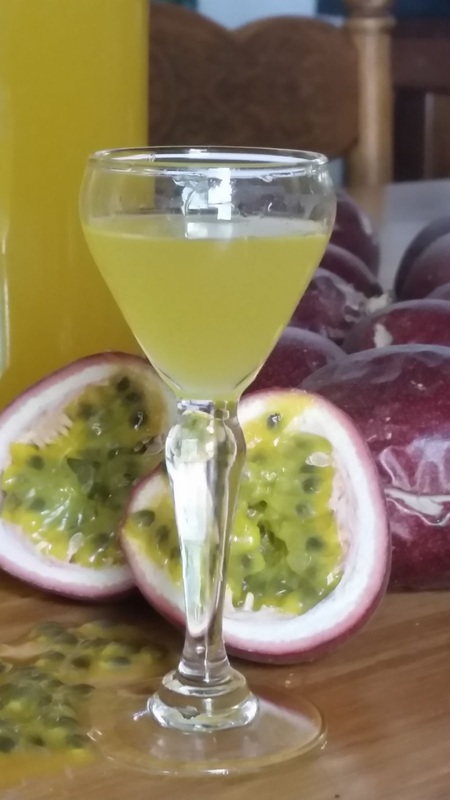 Serve as a summer liqueur over crushed ice, or use in a cocktail. Thanks for another delicious solution to an over supply of grenadillas.